"The town of Framingham will now be known as the city of Framingham. After years of debate and unsuccessful attempts to change the town meeting form of government, residents voted Tuesday to become a city by a narrow margin. The vote was 5,684 in favor, to 5,579 against the change, a difference of just 105 votes. About 28 percent of the town’s 39,910 registered voters turned out for the annual town election, officials said"
"The Framingham Downtown Study was a multi-disciplinary project, which studied the transportation, urban design and economic development implications of traffic improvement strategies for Framingham’s Downtown including the area near the MBTA commuter rail station. 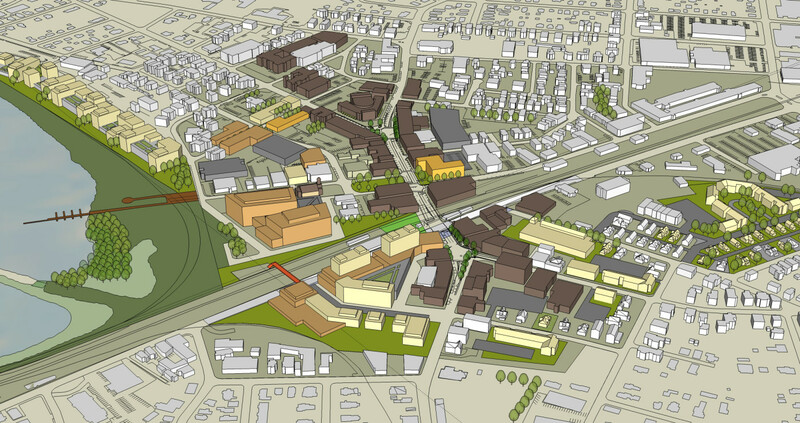 The purpose was to develop a plan that would relieve the existing debilitating vehicular congestion in Downtown Framingham, while simultaneously preserving and enhancing the historic urban design characteristics and creating new economic revitalization opportunities. The plan unlocks changes in land use and development by untangling the intersection of Route 126, Route 135 and an at-grade commuter and freight rail line. It provides an increased focus on dense, transit-oriented development opportunities while setting the framework for new development throughout the balance of the Downtown, composed to reinforce the traditional urban scale and fabric." Looks like they're eliminating at grade crossings, which will be an extreme improvement. That along with an extremely large commitment to revitalizing the core downtown area with transit oriented housing and office space is going to be the future of Boston city/suburbs. Thats completely reasonable commuting times for being within a cities grasp and if many of the spoke cities around Boston get better transit oriented housing and an uptick commuter rail frequency the metro becomes better because of it. Especially if we can get a lot of affordable housing in these areas which have cheaper land value. Housing going up within 10 minutes of commuter rail station. I do the Worcester <-> Boston CR often and every time I go through Framingham I feel like it's oozing potential. More downtown housing and it could become a very very attractive commuter city to Boston. Agreed, give them express trains, lots of transit oriented housing, and you immediately have a major feeder city for the workforce that can stay off of the highways and give people a chance to survive with lower rents than boston. It's close to Boston and it's affordable. It's also a traffic nightmare around there so the train is a very good option... although the commute times, in an absolute sense, are disappointing — why does it take ~52 minutes by train to get to South Station? Anyway, good to see development and hopefully the recent political change from a town to a city (everyone saw that?) will allow more streamlined development. - The express train in theory would only take 40 minutes to South Station; but that doesn't account for the frequent delays. The Worcester line is by far the worst line in the entire MBTA system, and you can assume that even in fair weather it's going to be 50+. And the express train doesn't run that often so any kind of transfer would be tough. Did I mention it's $300+ a month? - The rent is still going to be high enough that the typical millennial who they might be trying to attract is going to need roommates; finding a roommate who also has a job near Back Bay or South Station is going to be hard. There are (at least for now) some decent employers in Framingham but I imagine anyone working at one would rather live somewhere nicer or cheaper. - You're still going to need a car. It's a bit of a food desert there surrounded by an oasis. Market Basket to the south and Roche Bros to the east is pretty close but probably still too far. The Golden Triangle has plenty of restaurants and shopping but that's about it and also far enough that you would need a car. There is a local bus system but I imagine it's half baked. - It's kind of a nasty area and sort of dangerous. Im talking about living in framingham, with a car, but next to the commuter rail in transit oriented housing. You need a car to live in metro west. But housing is much cheaper and you could fit a lot of people around the station and thats a lot of workers than can leave the Boston housing stock/ surrounding inner suburbs. Framingham just became a city, and its a great place to raise a family, its cheaper, and most people that live there either work at bose, tjx, or drive to work in Boston. If they make the train more accessible and people are able to live closer to it it will be a viable option to take into Boston. As it is now people have to drive very far just to get to the station and traffic can get nasty so in many cases its quicker to drive to the pike onramp than to the train. This would be one of the perfect places to house a bunch of people that already commute to Boston everyday and find ways to keep a city of around 70 thousand people off the road. Proposal for 240 apartments. Okay area but not very millennial friendly because you would need a car. About a mile from the CR station and a little less to Framingham State. Spot is zoned retail so may be difficult to get approval. The old shopping plaza in North Framingham that has sat idle for years is being turned into a multi use development. 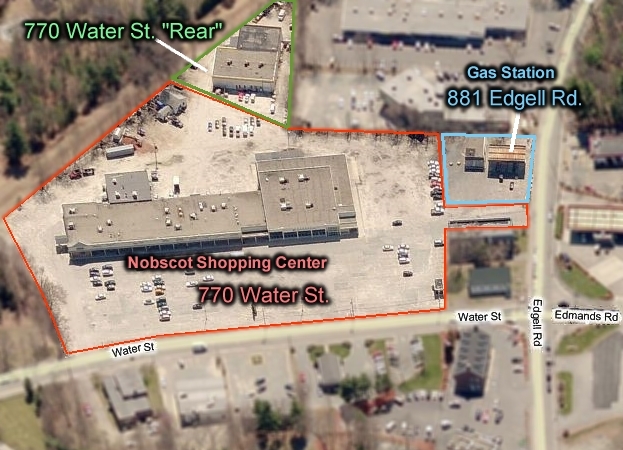 163 apartments + retail at the corner of water st and edgell st.
Senior housing and a hotel being built on the site of a former Sams Club near the Natick Mall. I've been there and the grounds is rather isolated, so you probably could have built just about anything without much opposition. So the combination is a little strange. Very car centric area. 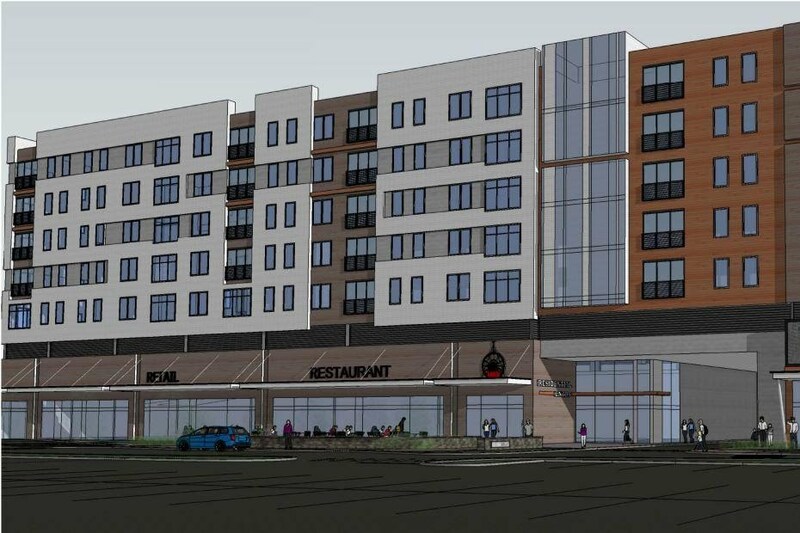 Construction is underway on the second of two luxury apartment buildings permitted in downtown Framingham, advancing the city's goal of creating new housing in its central business district. Developer Mill Creek Residential announced Wednesday it has broken ground on a 270-unit apartment building at 266 Waverly St. 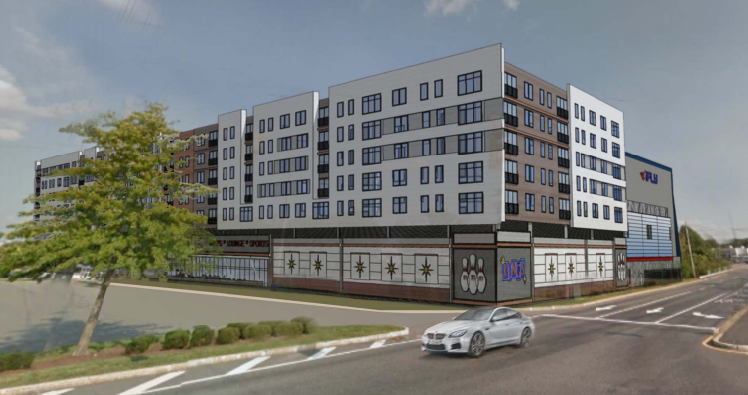 The structure, known as Modera Framingham, will span the block east of Marble Street, offering five stories of apartments above two stories of covered parking. 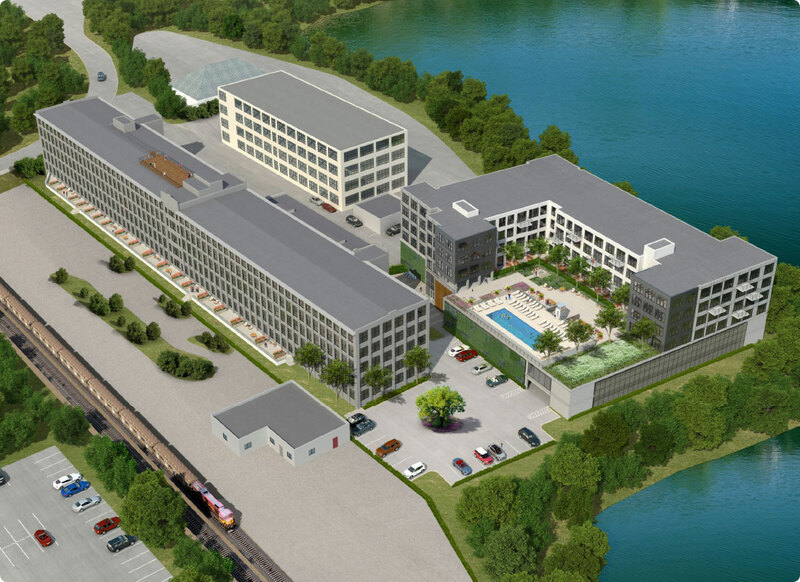 “The owners of Shoppers World are now proposing high-rise apartments, in a new #1 million entertainment complex on the Framingham/Natick line. You'd still need a car, but there's certainly plenty of shopping options nearby. A better spot than the under construction Senior Housing that's on the other side of the Mall. Those articles are from 2016. This project is dead and has been for years. Please try to keep your postings current, thanks! FWIW - the project has been replaced with the below. 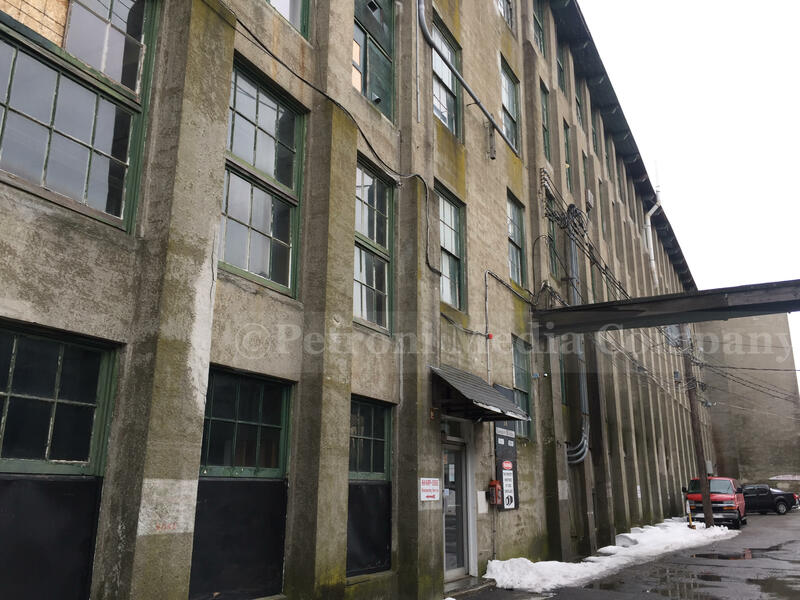 “A proposed redevelopment of the site calls for 258 residential units in both a renovated Bancroft Building and a new six-story building. The site's new owners have taken out a mortgage of up to $47.5 million from Avidia Bank, according to filings with the Registry of Deeds. Last edited by stick n move; 03-25-2019 at 07:56 PM. This is also nearing completion. Its right in the middle of downtown right across from the park and steps from the commuter rail. “Alta Union House is a new high-end apartment project in downtown Framingham from Wood Partners.